Cozy, comfortable, and always welcoming, carpet is considered one of the nation’s favorite ways to floor, and it’s no mystery why. Offering endless possibilities, carpeting is available in every color, patterns, and texture you could imagine. It’s relatively quick to install, and has the ability to dramatically transform all your favorite spaces. Regardless of your budget, décor, or lifestyle, there’s most likely a carpet to complement it. At Carpet One Floor & Home of Owensboro we offer all the latest carpeting products. With all of your favorite brands, including products by Lees Studio, Innovia Touch, and Resista, we promise to help you find your perfect carpeting match. Let’s learn a little more about carpeting, which could likely be a perfect addition to your residence or workplace. Truly, there are carpet options that are appropriate for almost everyone. From carpeting made to block out dust fibers, to stain-resistant carpets, there are products to suite every property owner and every situation. That being said, we recommend familiarizing yourself with a few common carpet terms, to help you make the most of your upcoming shopping experience. Sometimes referred to as “pile,” carpet fibers are what will determine your rug’s density and its performance capabilities. Different pile types have different textures and appearances. For example, synthetic fibers such as polyester and nylon are ultra-plush to touch and are also extremely durable. Wool carpeting, on the other hand, has a rougher feel to it: its benefits are many, with sound absorbance and flame-resistance among them. Frieze or “shag” carpeting is casual in appearance. This twisted, soft and somewhat unruly-appearing rug is currently very trendy. It offers up extra depth and dimension underfoot. Level loop carpeting is a smart, popular pick for all types of settings. Its shorter fibers are dense and sturdy, so this carpet works great in heavy traffic. Patterned carpeting is quite statement-inducing. Its fibers are cut in varying heights and its ends are looped, making it a natural choice for more formal surroundings. Textured carpeting is popular for those who enjoy casual, yet eclectic décor. It’s somewhat rough to the touch, and is durable enough for playrooms and dens. Plush carpeting is soft to the touch, resembling crushed velvet and making it a popular addition to a more formal room. Carpeting truly has a lot to offer to your home or to your office. It serves as a stylish insulator: keeping you and your family warm in the wintertime and cool and comfortable in the summertime. Hence, you can also enjoy significant reductions on utility costs by installing new carpeting. These are just a few of the many reasons that carpeting adds lasting value to your space, as well as high style. Carpet One Floor & Home of Owensboro carries a comprehensive inventory of fine carpeting products, including some Carpet One Floor & Home exclusives that cannot be purchased elsewhere. Let our expertise serve as your trusted guide as you search for the perfect rug for your next room. Learn about our wide selection of carpet brands and styles. In order to find a carpet texture you like, it is important to know what fiber the carpet is made of. 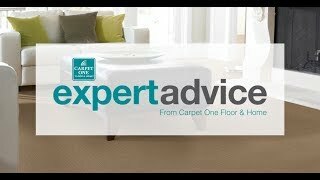 Our carpet professionals can help you find the best carpet for your home and explain the different carpet fibers and their benefits.